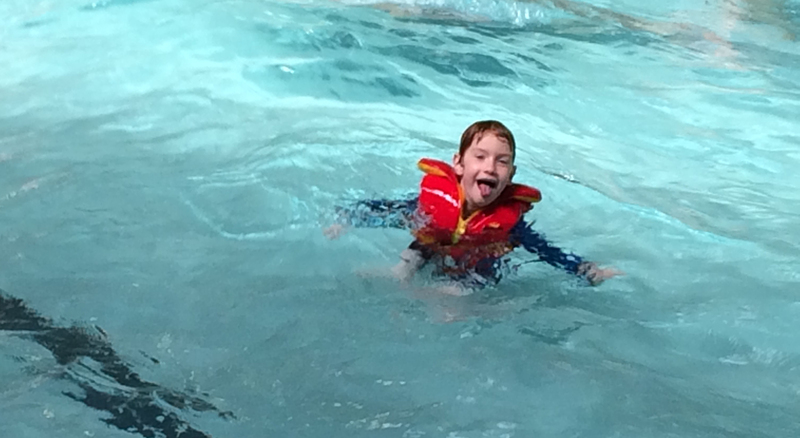 My five-year-old son Zev announces this with a big smile on his face while standing in the wave pool at the end of a day spent splashing through the circuit of water features at Great Wolf Lodge in Niagara Falls, Ont. Thankfully, he's more waterlogged than seasick from the hours of watersports, and months after our visit, my wife and I are still redeeming the brownie points we earned with Zev, his sister Savannah, 9, and older brother Finn, 10. 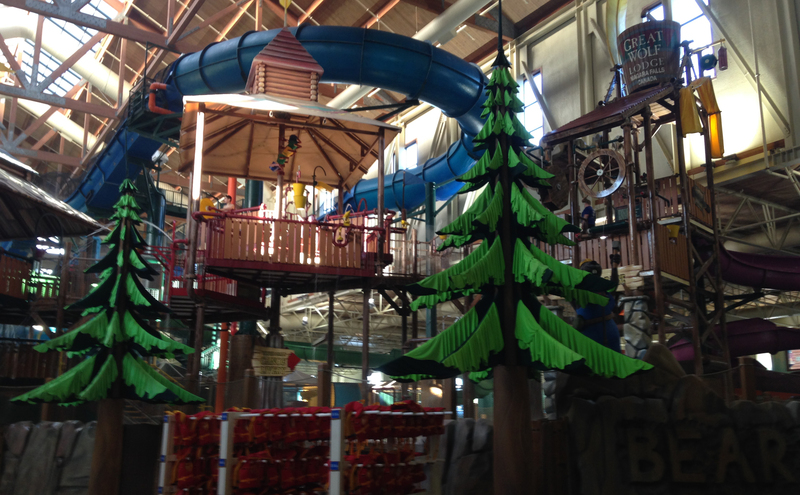 For the uninitiated, the Great Wolf Lodge in Niagara is one of 14 in a chain (and the only Canadian location) of hotel-meets-indoor waterpark mashups across North America. And while Walt Disney World is undoubtedly still the de facto king of the kiddie dream experience, a stay at a Great Wolf Lodge with a child certainly won’t hurt any guardian’s campaign for a “parent/grandparent/cool aunt or uncle of the year” award. True to its name, the resort plays up the lodge theme with natural décor, from a grand faux-stone fireplace and animated animals in the lobby (including wolves, bears and a big talking tree), to rustic log furnishings in the rooms and suites (some of which include bunkbeds, kitchenettes and separate bedrooms). Guests can take part in a variety of kid-friendly activities on offer daily, from arts and crafts to a pyjama dance party, but the waterpark is the real draw. After a smooth check-in (the lobby gets hectic with new, eager — read: hyper! — young guests coming in, and worn out parents and children with late departures wringing out every last bit of fun), we head to our Majestic Bear Suite. It boasts a king bed in a separate bedroom, two queen beds, a lounge area with full sleeper sofa and a kitchenette. We quickly change into our swimsuits and head to the waterpark. “Ahhhh….” says Zev, “OMG!” says Savannah, and Finn’s mouth just hangs open as we enter the warm, nearly 100-square-metre waterpark. It boasts nine waterslides geared toward a range of ages and desired adrenaline rushes, a wave pool, a lazy river, a kiddie pool and more. My gang luckily falls within the ideal age range for most of the fun. Two hours later, each kid is still going strong, making the four-storey climb to the park’s highlight slides — one of either Grizzly, Eagle or Bobcat Falls (varying degrees of single or dual fun in an inner tube), the Woolly Mamooth (a family river raft-style slide), the Niagara Rapids Run, and the Canada Vortex (another single or dual tube slide that delivers a high-speed spin in a bowl midway down). At some point, I lose track of Finn, and once found, he claims to have conquered the Wolf Tail, a gut-wrenching contraption where a single rider is loaded into a sealed chamber and the floor drops out underfoot, sending the rider into a nearly vertical six-metre free fall, followed by a 360-degree, high-speed loop. I’m skeptical, if only because, even as an adult, I don’t have the guts to give it whirl. But maybe that’s the exuberance — or stupidity — of youth. Hungry bellies it seems are the only thing that puts a stop to our first taste of the fun, and we retire to fuel up. Niagara’s Great Wolf Lodge offers a number of onsite eatery options, including the Antler Shanty buffet, the Camp Critter Bar & Grille, the Northwoods Pizza Company and the Bear Claw Café. The food is kid-friendly and in the style of your typical chain family restaurant, albeit with higher prices. 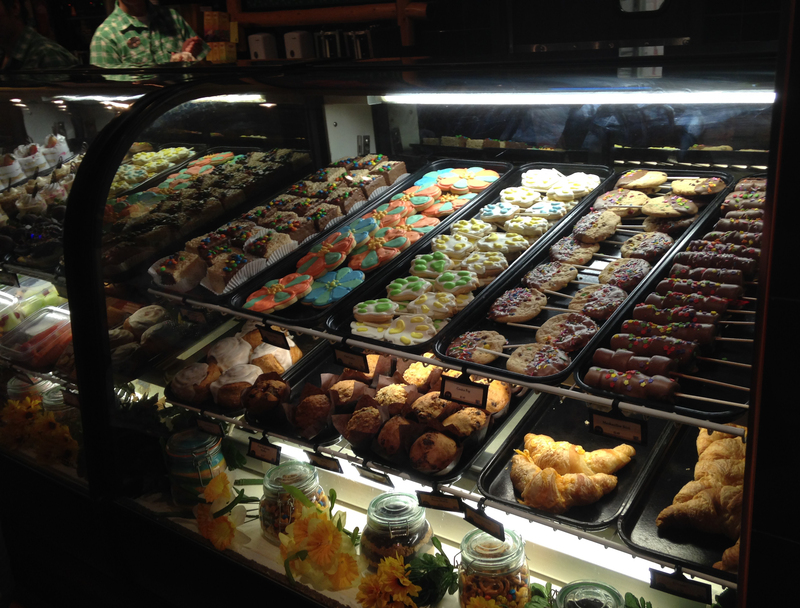 Still, the delectible, high-calorie treats at the Bear Claw Café are particularly hard to resist. We end the evening by briefly checking out the aforementioned Jammie Jamboree, a PJ dance party held in the lobby and undoubtedly designed to help parents thoroughly exhaust their wee ones before bedtime. Great Wolf Lodge offers a number of such revolving activities and games each day, including morning yoga sessions, story time, a craft club, and, most notably, MagiQuest, an interactive treasure hunt that sets players off exploring nooks and crannies throughout the property (and sets parents back an additional whack of cash for the fee and wand necessary to play the game). I wake up the next day to Zev announcing, “It’s another great day at Great Wolf Lodge.” And the day hasn’t even really started yet. We hit the waterpark circuit again, break for lunch and convince the kids to briefly visit some other Niagara attractions before returning to the waterpark again in the late afternoon. The following morning: more water. And when we check out that morning, two days after we arrived, I’ve contracted the same “wave sickness” as Zev: I’m waterlogged, but definitely not sick of the fun. Related: Is Ontario's Niagara region the eighth wonder of the world?